One of our favorite Caldecott Honor books is “Swimmy” by Leo Lionni. In the story, “Swimmy” camaflouages himself and his friends in the shape of a large fish to keep them safe from larger fish that might eat them as they expolore and swim during the day. 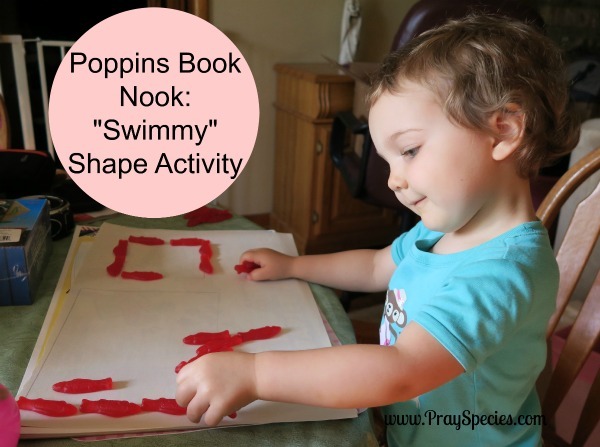 This book gave us a great chance to practice forming shapes using an inexpensive candy, “Swedish Fish.” I traced a few simple shapes including a square, rectangle, triangle, and circle. Ladybug put the placed the fish along the traced lines to form the shapes. 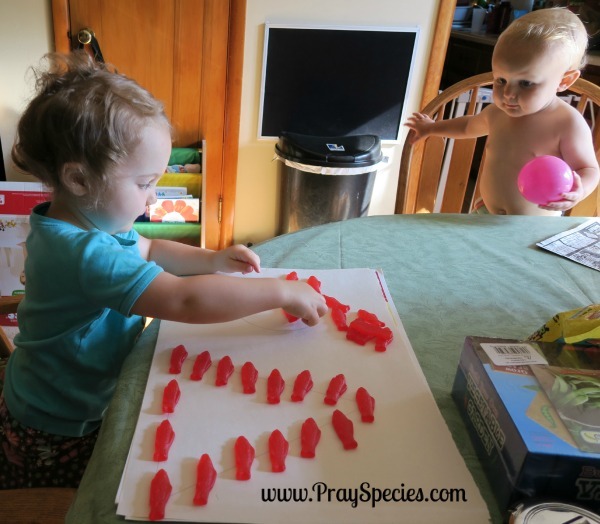 As an added bonus, Beetle Bug, Ladybug’s younger brother was a huge fan of watching big sis put together her shapes. He even moved some of the fish around in some simple lines and curvies later in the day. The kids had fun, reviewed some shapes. This activity is simple, fun, and clean up is a breeze. At the time of this post, Ladybug is 2 years old and Beetle Bug is 17 months old. Bring a Caldecott Honor Book to Life Giveaway! Why not have some fun crafting your way through some pretty yarn fun crafts while bringing a Caldecott Honor Book to life this month in the Poppins Book Nook! Every month this group will be offering readers a chance to win a brand new storybook or product that ties in with our theme for the month. This month one lucky entrant will win the Bring a Caldecott Honor Book to Life Giveaway. The winner will enjoy two fun Caldecott Honor Book themed learning items. 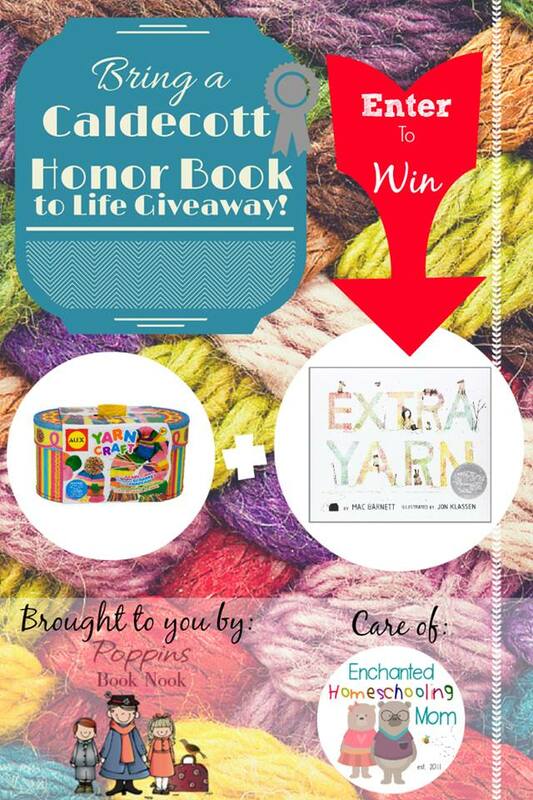 The two items that they will win is the Extra Yarn storybook by author Mac Barnett and a fun Yarn Craft kit by Alex Toys. So let’s all get to reading to Bring a Caldecott Honor Book to Life this month with the Poppins Book Nook! Be sure to visit all the wonderful Poppins Book Nook Co-hosts listed below! Ladybug looks like she’s really into this one – I love the concentration!